Theresa May has promised Tory MPs she will stand down if they back her EU withdrawal deal. She did not name a departure date at a packed meeting of the 1922 committee. But the BBC’s Laura Kuenssberg said a Tory leadership contest could be expected in May. The BBC’s Iain Watson said Boris Johnson – a likely contender in any leadership contest – was smiling broadly as he left the meeting. 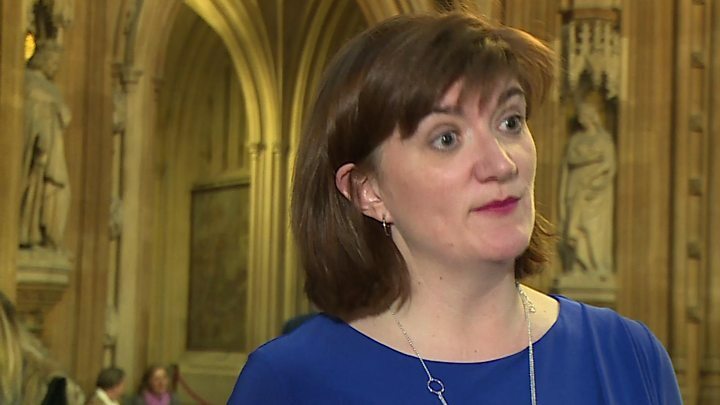 Our correspondent said a very senior Conservative had said the PM was “as clear as she has ever been” that she will not be around for the next stage of Brexit but if the deal does not pass then “that’s a different matter”. Tory MP Simon Hart said the mood in the 1922 meeting was “respectful” as the prime minister set out her plan. Despite the nature of the meeting, Mr Hart joked that “neither the Chief Whip nor the PM were crying”. And he warned ministers earlier that they should “not seek to circumvent my ruling” by introducing procedures that could reverse his judgement. But a Downing Street spokesman said there had been a “significant development” at the summit in Brussels last week, after Mrs May agreed “extra reassurances” over the Irish backstop with the EU, and the date of exit had changed. Many Tory Brexiteers are looking to the Democratic Unionist Party, who have led opposition to the PM’s deal, before deciding whether to get behind it. Leading Tory Brexiteer Jacob Rees-Mogg said there was an “element of sadness” about the prime minister’s announcement “even though it’s something I’ve wanted”. And speaking to journalists after the 1922 committee he said he would vote for the government’s Brexit deal if the DUP abstained. 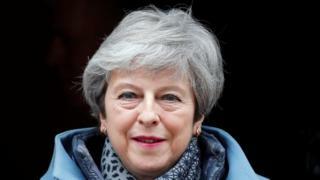 Earlier, Mrs May moved to prevent possible ministerial resignations by allowing Conservative MPs a free vote when MPs pass judgment later on different Brexit plans, in the so-called indicative votes. But the prime minister herself, along with her Cabinet ministers, will abstain in the votes, Conservative whips have indicated.